Don’t miss this wek’s show, WineGuyMike has Jayson Woodbridge from Layer Cake on the show. See you on the radio. On Sunday’s show WineGuyMike™ talks about a couple “wines that are so good they are wicked”. Check out the new shirts from 4Bears Winery and our friend Sean Minor where “the wine is just right”. WineGuyMike on The Trail 1033FM is talking about Champagnes, Sparkling Wines, Prosecco, and Cava. How to choose the right wines for your Valentine. Well Diane I can tell you that Vouvray is one of my favorite white wines. Next I’m going to break this down into a profile of sorts so that as a consumer you can actually find value in my answer to you. WineGuyMike answers the question; I don’t understand why some wineries or wine clubs will ship wine to Montana? One of our nations hottest topics, shipping wine. This week WineGuyMike had a terrific question from a busy mom who wanted to know; what wine is a good go to wine for most occasions. WineGuyMike talks with Scott and Paula from The Ranch 107.1FM about wine that’s gone off, aerating wines, wine style trends of Chardonnay. This weeks show had Scott and Paula belly laughing. Please join us. This week WineGuyMike™ is talking about bubbly for your party. First off I’m going to be discussing what the differences are between Champagne, Sparkling Wine, Cava, Prosecco, and Spumante. Scott and Paula from The Ranch ask WineGuyMike what wine types pair with Christmas dinner. Today Scott, from The Ranch 107.1FM, and WineGuyMike discussed wine related Christmas gifts, and wine for Mulled Wine recipes. Yesterday was a fun show on Wine Wednesday. This week WineGuyMike™ received a food and wine pairing question, and a question about wine accessory ideas for Christmas gifts. We will find out which wine types pair well with lamb and have a few great gift ides for your wine loving friends and family. Thanks to my fans and followers for thinking of topics that help us all learn about wine together. Today 90% of all wines made are crafted in such a way that they are meant to be consumed within one year. There are most definitely certain wine types and vintages that are better choices for cellaring. Thanksgiving Day is here so I thought it would be fitting to share with you the great American story of wine, featuring the Pilgrims. The Pilgrims are the forefathers of the American wine industry; they are the pioneers who laid the ground work for today’s wine industry as we know it. WineGuyMike Talks with Scott and Paula about your Thanksgiving Day wine list. Which white and red wines are right for your Thanksgiving dinner and why. This week WineGuyMike talks with Scott about Adelsheim Vineyard and Winemaker Erik Kramer. Adelsheim Vineyard is home to the best Pinot Noir Terrior in the world. WineGuyMike just posted six new videos from this weeks MBIA wine tasting for the Student built home. There was a great turn out for the event, the wine flight and food was amazing. Take a look, Cheers. This week Scott, Paula, and WineGuyMike talk about Laurie’s search for a wine that is not oaked. 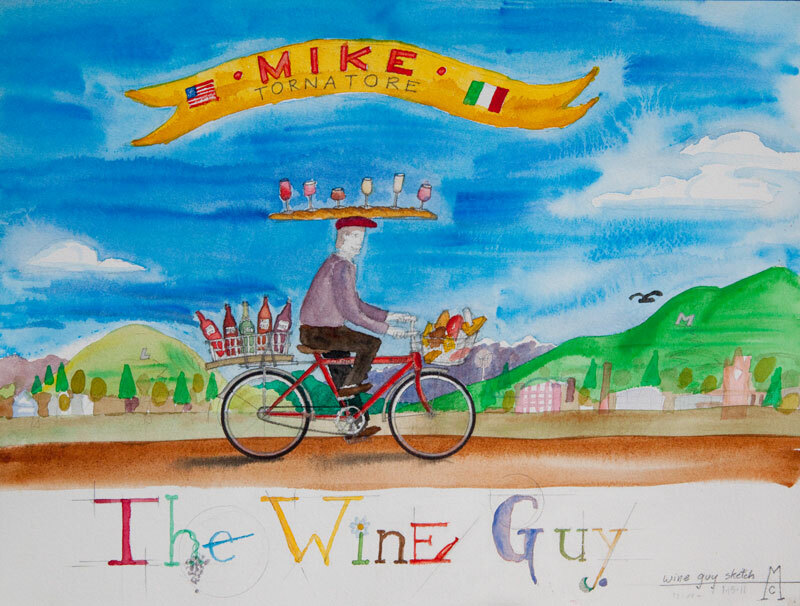 Today WineGuyMike talks with Scott and Paula about purchasing a bottle of wine at a restaurant and taking the “left over wine” home, dessert wine, the 2007 Cabernet vintage from Napa, and Grizzly Liquor Wine Club tasting benefit for Chicks and Chaps at The Hilton Garden Inn tonight at 6:00. Today WineGuyMike talks with Scott and Paula about seasonal changes and the effect that has on our palette. How does this change our wine drinking and wine selection habits seasonally. WineGuyMike Radio Show Part 1 9/22/2010 talking about Blush Wine and Rose′. An interesting topic and a little bit of history. WineGuyMike Radio Show Part 2 9/22/2010 talking about Blush Wine and Rose′. An interesting topic and a little bit of history.